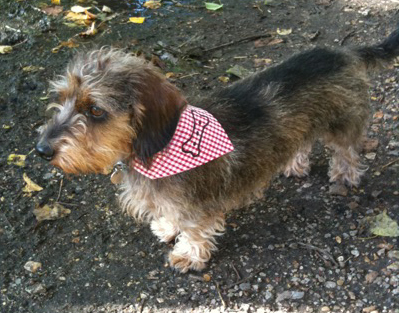 This is the adorable Herb in his red gingham neckerchief, and my, doesn’t it suit him? I love seeing photo’s of my customers dogs, they’re all such a good looking bunch. Herb even has his own blog, so you can go um and ahh over some more gorgeous doggie photo’s…. I could take them all home!